The flow of energy in our bodies affects our physical well being. 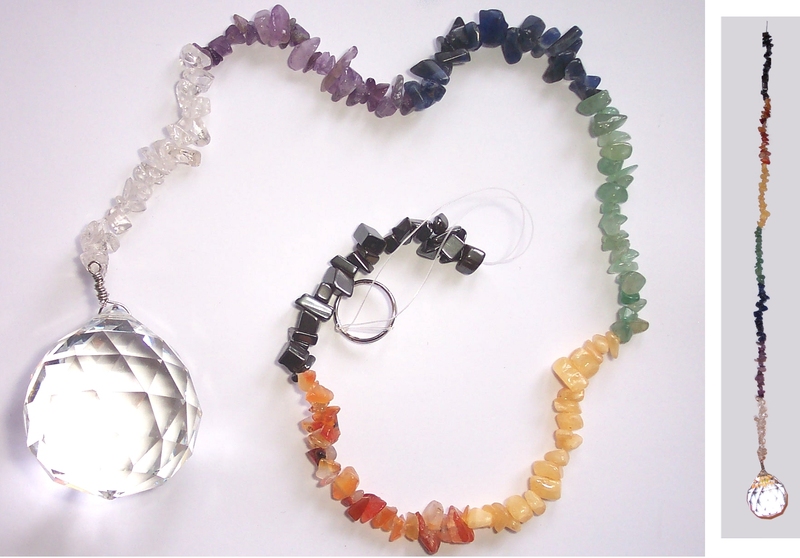 Each of the seven different gemstones in the Chakra tail is attuned to one of the major Chakras and will help activate, energise and balance the Chakra centres. Turn ordinary sunlight into a shimmer of rainbow magic by hanging this multi-faceted crystal sphere in a sunny window. This sphere is strung on seven types of gemstone chips and is ready to hang, making it a stylish hanging ornament.